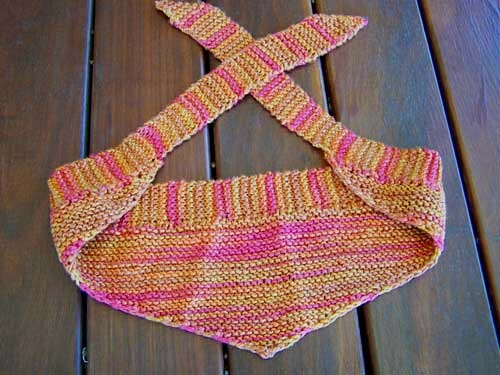 It will not shock you to learn that I have knitted more stuff. It may shock you to think of me actually finishing things, but don’t worry, note of them have been blocked so they aren’t really finished. So, aside from 2/3 of a pair of socks, half a shirt, half a headband x 2, 1/4 of a slipper, 1/3 of a sweater type thingie and perhaps 1/6 of a scarf that are still in the working bag, I have finished some things. I have to, I mean there’s only so much room beside the knitting chair for all the unfinished stuff to sit. Sisters be warned that these items may be offered to you at some point, so have your polite face on call. 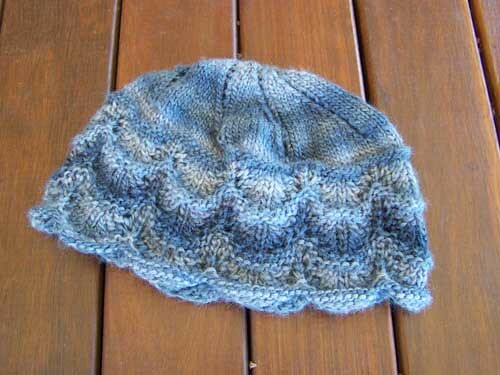 Here is a beanie – the pattern is Foaming Waves Chemo Cap but I insist that it’s a beanie. Don’t like the vibes of giving a non-chemo-receiver a chemo cap! 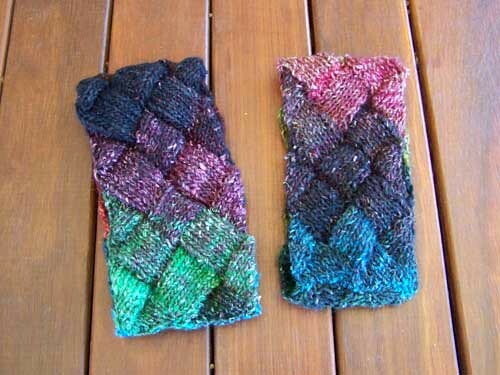 I also made these two winter headbands with Noro yarn. There was just enough in one skein that I got through the Rav Karma Swaps to make both these bands. I used the scarf pattern Tessuto as a base to make them, but I changed things a bit. 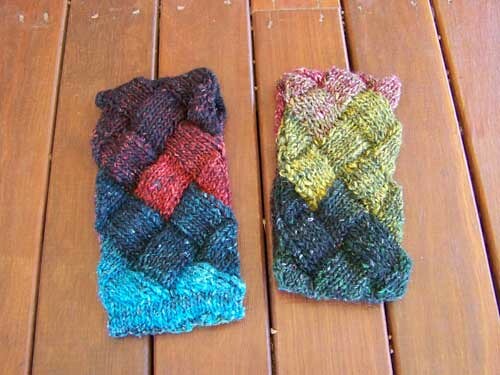 Here they are, from both sides since the yarns just keeps changing colours. Oh, and I nearly forgot, I got a small ball of silk in a Work For Yarn trade and I made this kerchief-style headband with it. The pic is disappointing because the colours are totally wrong. It isn’t pink and yellow, it’s dusty red and ochres. And it has a sheen because it’s pure silk. I have enough left for a narrow headband I think. I made the triangle a bit shallower than the original Cassady headband pattern. I’ve finished something else too. But I’m not showing you. Nya nya. Oh why might you not being showing us, hmmm?